This is a project that I do with my daughter for winter break… not even necessarily Christmas but any time in the winter. It is the most simple idea and any age kids can do it! 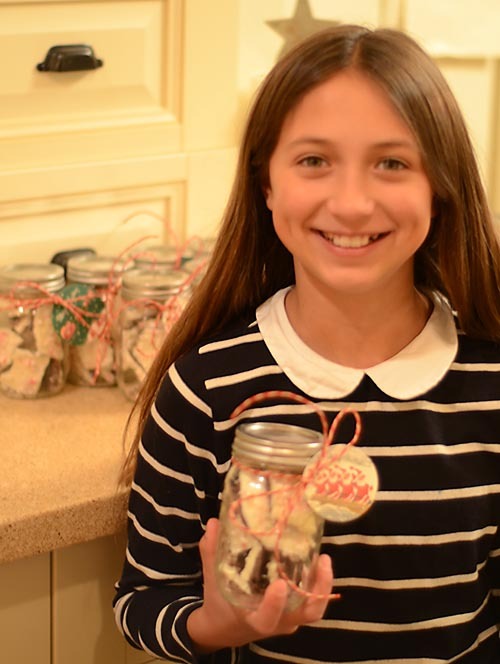 We break ours up and put them in mason jars for teacher and neighbor gifts. So simple and so fun to make! Melt the semisweet chocolate in the microwave in 30-second intervals, stirring as you go for 1 to 5 minutes, depending on your microwave. Don't overheat! 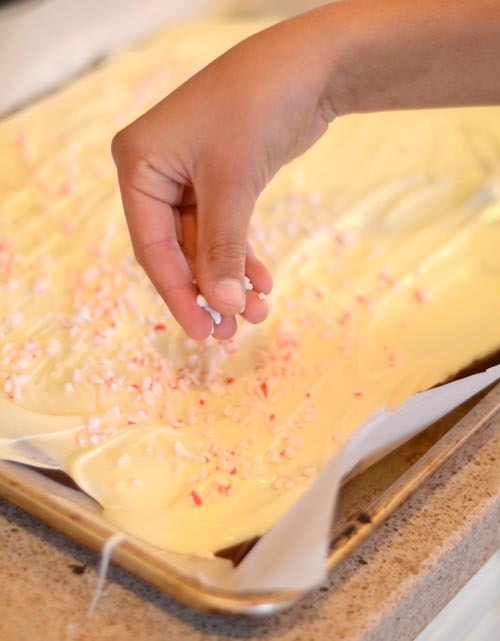 Stir in the peppermint extract [taste it to see if you want more mint flavor]. Spread the chocolate evenly on the sheet. Chill until the chocolate has set, about 30 minutes. You can do this in the fridge… or depending on where you live, just set it outside! Meanwhile, melt the white chocolate in 30-second intervals, stirring as you go for 1 to 5 minutes (depending on your microwave). Don't overheat! 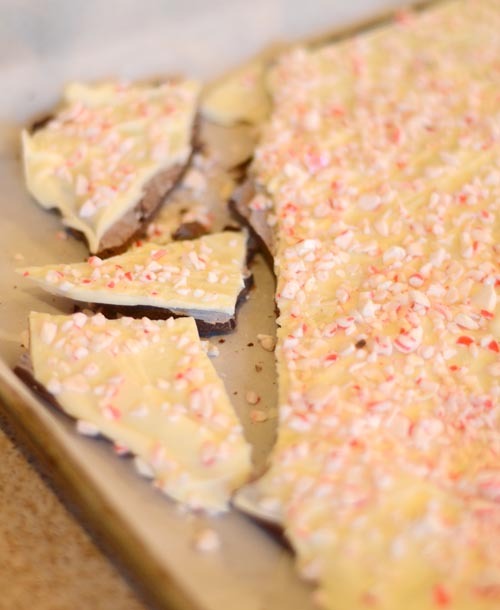 Stir in the peppermint extract [taste it to see if you want more mint flavor]. Spread the white chocolate mixture evenly over the dark chocolate. 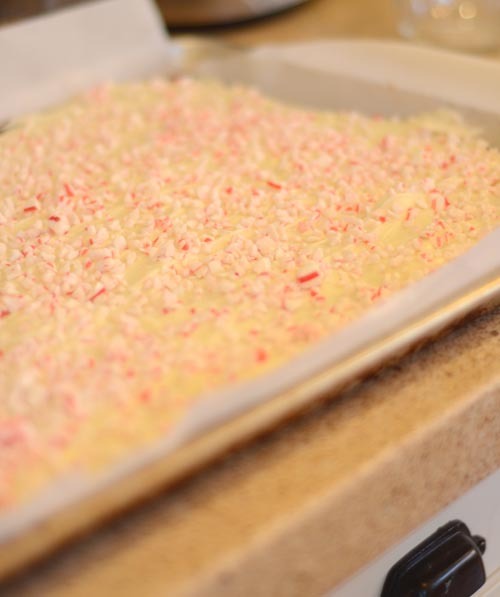 Sprinkle the crushed candy cane pieces over the top. If you want you can press slightly into the chocolate with the palm of your hand. Chill for about an hour. Break into small pieces and package up! 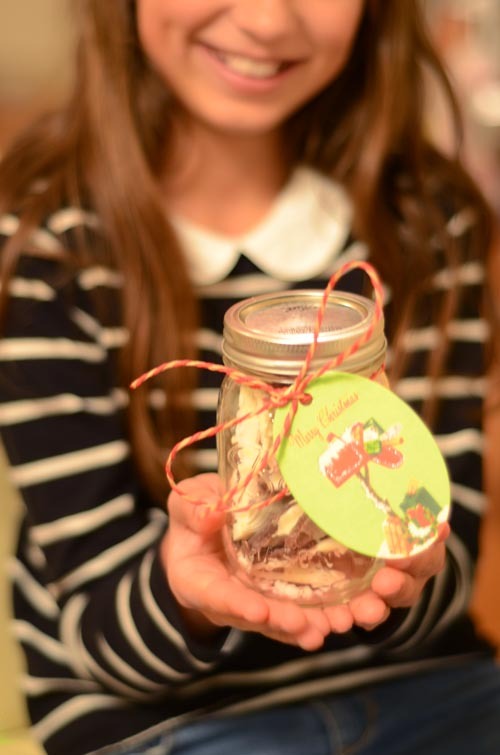 We package ours into mason jars and tie up with tags and ribbon. What a great tradition and a fun activity to share! Also great use for all of those cute mason jars I used to use for canning and now……not so much any more :)! Perfect! Wishing you a Happy New Year, to you and your family! Well isn’t she a spittin’ image of you! What a cutie! Blessings to you & yours. Can’t wait to start new year, new planning, new ideas and new/old projects! Wow! This is a great idea! 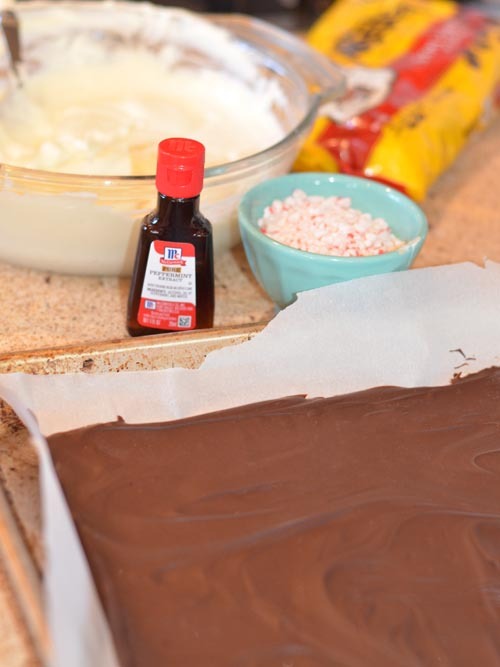 I always struggle with what to make that’s easy and quick and See’s Candy really has gotten quite expensive when I’m giving out gifts to our neighbors and friends. I’ll be sure to give this a try next Christmas. Thanks so much for sharing. Very sweet and the bark is definatlely a good idea. Thank you for sharing this recipe ~ a perfect little project in the kitchen on a cold rainy day in Southern California! great idea, and your daughter is growing up so fast! She sure is a beauty!! Great tradition: I’ll have to try it next year with my daughter. Hugs! Your daughter looks like an American Girl Doll come to life. Gorgeous. Thanks for the bark inspiration.